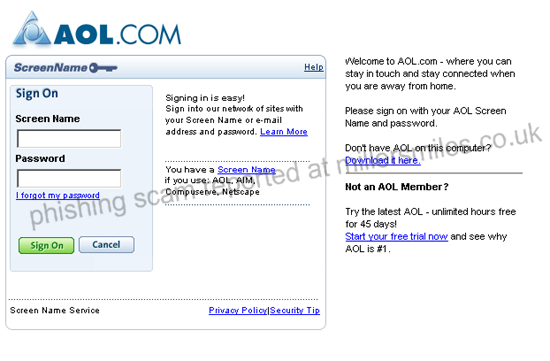 The actual URL looks genuine but is subtely different, and NOT AOL! 4. Website traced to Seoul, South Korea.
" Urgent Notice: - We're having trouble billing your monthly AOL membership fee. "